Lots of contracts require some kind of group feedback: a presentation and Q&A session. But the jobs outlined below all required specific facilitation skills and processes which are a bit more developed than managing a simple workshop. In addition to facilitation as a component of a contract, I’ve increasingly been contracted to facilitate a large and tricky meeting – to stimulate debate, manage conflicting positions, generate consensus and steer participants towards a common set of actions. And sometimes, the need for this has become apparent during the course of the consultancy process, and I have offered to play this role. Either way, facilitation (or as consultants like to joke, facipulation – getting the result you want out of a group of people) is a specialised skill. You need to manage time, process, egos and agendas, and always keep the purpose of the event at the front of your mind. It’s fun, too. And exhausting. And no, the picture isn’t relevant. I wasn’t about to put a boring picture of people in a room playing with sticky notes up there. 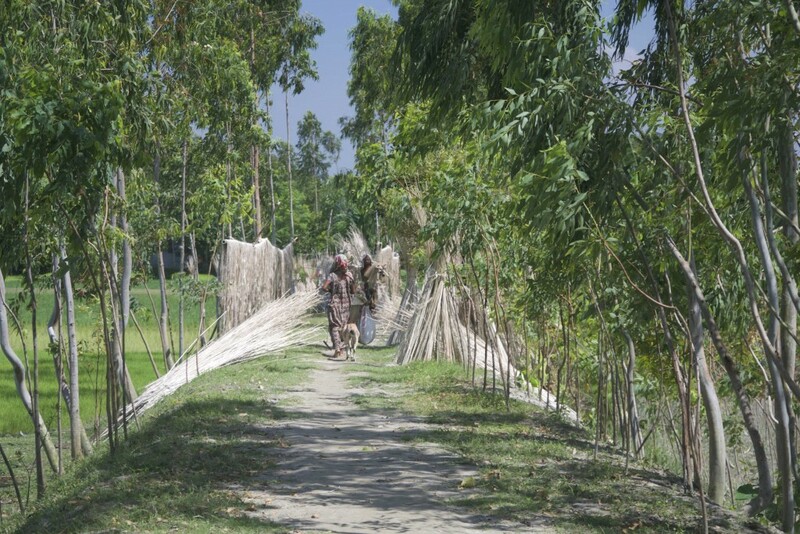 It’s a pretty raised path / flood prevention scheme from Bangladesh. Role: My third and last time to facilitate the DMWG – this time in Helsinki. 2017 – Facilitator for IFRC through the British Red Cross. Task: design a meeting programme to deliver a complex set of linked outputs with a diverse group of participants, and facilitate that meeting successfully. 2016 – Lead consultant for the Danish Red Cross on behalf of a DIPECHO consortium and a range of partners including the Government of Nepal. Role: Design and facilitate national level simulation exercise. Role: My second time to facilitate the DMWG – this time in Switzerland – with a strong focus on global surge response tools. Role: Provide technical advice and coordination support to Nepal Red Cross, develop the recovery plan and gain buy in from RC Movement partners. Facilitate Movement Wide partnership meeting. Task: Lead the team to undertake a detailed review of three linked cash transfer programme components for floods / landslide response. Facilitate a lesson learned worship for key stakeholders. Key questions: what can be done by humanitarian agencies to better plan for swift, large-scale cash transfer programmes? 2012 – Team Leader and facilitator; proposal author – for American Red Cross, Haiti. Main tasks: included detailed multi-sector options analysis and participatory workshop with HQ and field stakeholders to finalise proposal.